Has received invitations to coach in Japan, Singapore, Korea, Philippines, Italy, Poland, Switzerland, Hong Kong, and the United States. Is chairman of America Taiji Health Qigong Corp.
Sitan Chen (陈思坦) started his martial arts career when he was 6 years old. He entered the Fuzhou City Youth Sports School in 1975 and was chosen to join the Fujian Martial Arts team of China. He retired and became a martial arts coach in 1997. 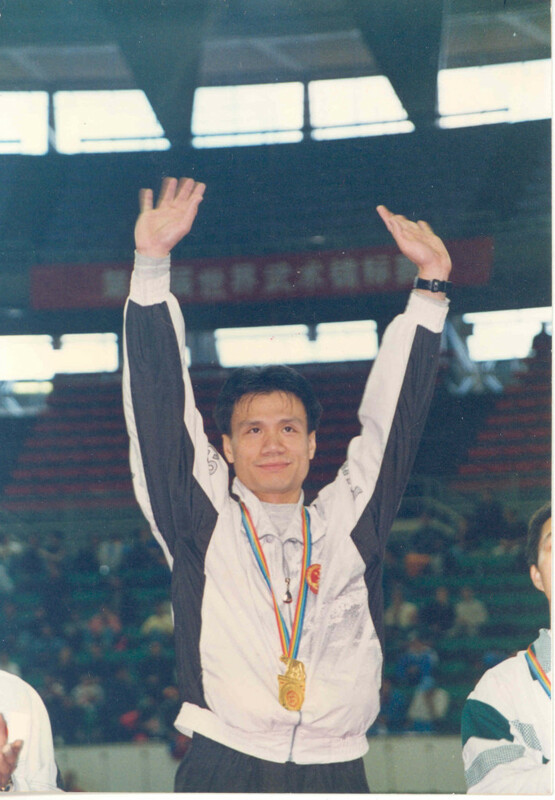 In twenty years of competition, Sitan Chen has won a total of 32 gold medals, and the title of champion in national and international Taiji competitions.As a famous world Taiji champion, he has received invitations to coach in many countries including Japan, Singapore, Korea, Philippines, Italy, Poland, Switzerland, the United States, and Hong Kong. Two of his students have become champions after his training. A student from Switzerland won the title of European Taiji Champion. And another student from Hong Kong was the East-Asia Game Women’s Taiji Competition Champion. This same student was the champion of Women’s Taiji in Hong Kong.